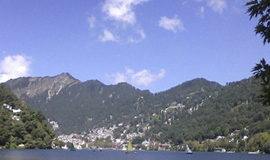 Nainital Lake also known as Naini Lake, is an enchanting natural water body situated in Nainital city of Uttarakhand. 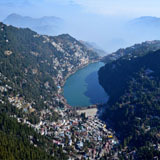 Nainital Lake is Ranked No. 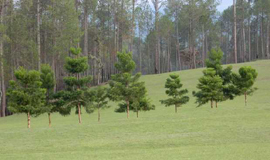 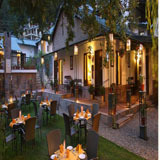 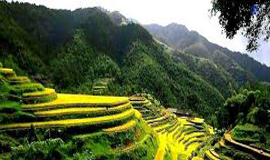 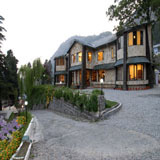 1 among The Top Nainital Tourist Attractions, offering activities like boating, parasailing, yachting. 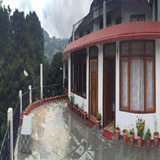 It is one of the major nainital attractions among the tourists and couples who wanna spent some great time and experience Boating in Nainital Lake. 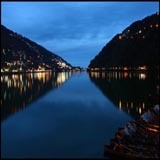 Having a depth of maximum 28 metres and minimum 6 metres, this lake adopt more elegant charm over the night, visitors can expereinnce the beautiful reflections of hotels and restaurants around the naini lake like the glittering stars around the galaxy during night. 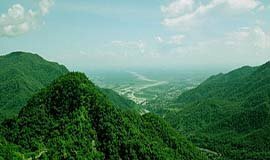 The lake is centrepiece of the Nainital city and there's also a saying, when Sati, wife of Lord Shiva sacrifice herself to the fire, the emerald green eye (Naina) fell to the earth and became Nainital Lake. 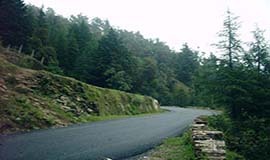 Combined with lakes like Naini lake, Bhimtal, Naukuchiatal, Khurpatal and Sattal, Nainital has earned a reputation of "The Lake District" all over the India. 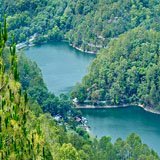 Boating in Nainital Lake is one the popular things to do in Nainital and sought after adventure activities in Nainital tourism. 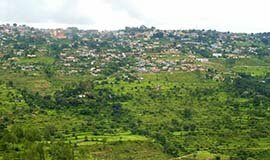 Mallital and Tallital are the two parts of this lake where Mallital is the Northern part while Tallital is the Southern part, situated with many hotels around the lake, one can find no problem to choose a perfect stay close to this heart warming Natural water body. 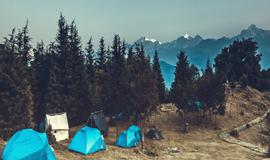 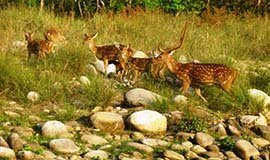 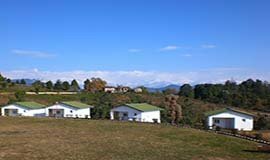 The Lake is surrouned by 7 beauitful kumaon hills - Ayarpatta, Deopatta, Handi Bandi, Cheena Peak, Alma, Laria Kanta and Sher-ka-Danda making it more elegant for the tourists. 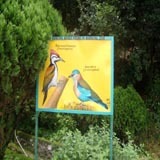 Mr. P. Barron and English Business man who discovered this lake was on a hunting expedition. 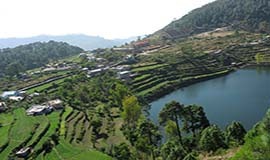 The English-man accidentally came across the lake and he was so mesmerized by the beauty that he decided to built an European Colony alonside the Lake. 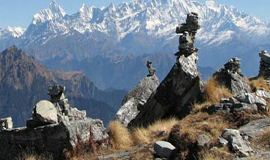 The Lake is also mentioned as "Trishi Sarovar" in Hindu Scripture known as "Skanda Puran". 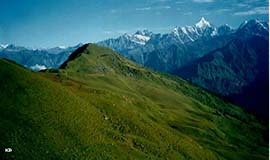 The legendery sages Atri, Pulastya and Pulaha are used to meditate here. 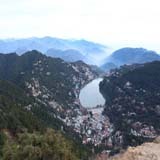 Other story of the formation of Nainital lake is that, the three sages Atri, Pulastya and Pulaha dug a hole which got soon filled up by the Trishi Sarovar. 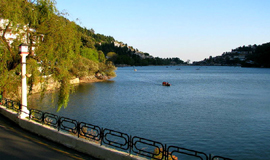 Naini lake is always attractted by the adventure sports lover who wanna experience boating in naini lake. 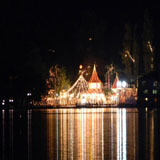 But it should be note down that at the night boating is prohibited but tourist can enjoy a pleasing night walk along side the naini lake to experience the magical reflections of stars on naini lake. 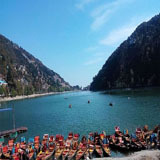 Nainital Boating Price This Beautiful Lake offers many opportunities like yachting, kayaking, boating and paddling to visitors. 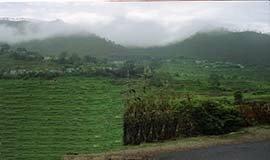 Pedal and rowing boats both are available on Rs 160 per hour. 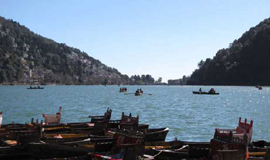 Decorattive Gondola boat costs Rs 200 for a round trip in Naini Lake. 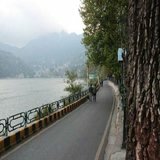 **Note** Boating in Nainital Lake is Prohibited at Night. 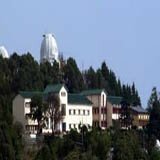 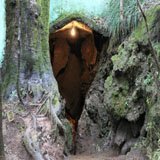 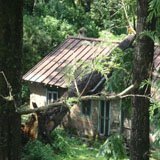 Located at the center of the Nainital City, people can easily reach Nainital Lake via taxi or bus from Kathgodam which is 35 Km from Nainital. 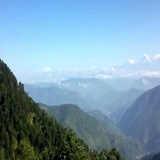 Kathgodam is the nearest Railway station to the Nainital City while the nearest Airport is at Pantnagar which is 55 Km. 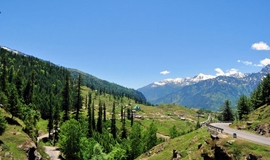 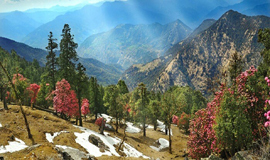 For a complete travel guide on How to reach Nainital click here.